Hugh has recently travelled around Mexico, Guetamala, Hondurus and Belize in search of the pre-Mayan megalithic civilization that flourished as far back as 7000BC. The Mayans have been credited with introducing a sophisticated calendar, agricultural practices and incredible stonework, but it is now thought that the ‘Olmec’ invented the Long Count calendar that ended in 2012 and taught the Maya much of what they knew. Hugh also explores some new research about Earth Grids and the relationship between sacred sites all across the planet, including insights into the sites in South Africa and their relationship to ancient Egypt. 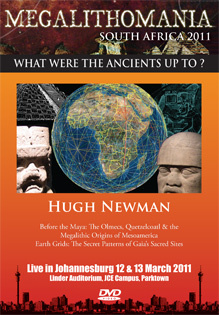 Hugh Newman is an earth mysteries and esoteric science researcher. He organises the Megalithomania Conferences, co-edits Avalon Rising magazine and coordinates talks, films and workshops at numerous festivals. He has researched the Indigo child phenomenon and published a book on the subject. His most recent book, Earth Grids – The Secret Patterns of Gaia’s Sacred Sites, has been published by Wooden Books. He is an honorary member of The Antiquarian Society and has spoken at conferences in the UK, Malta, France, Peru and North America. Like Hugh jackman I took a simliar trip with compassion international to Gutemala to meet the child we sponsor. 5 year old Noe. When I met Noe and saw the gang infested poverty stricken place he lived in it rocked my world. I knew if he did not get out of this environment and get a good education and have opportunities he would be stuck in this cycle of gangs and poverty. When I came back to the states I couldn’t stop thinking of what we could do to get kids like Noe in college and the skills they need to get their family and village out of poverty. We started wiseabe shortly after. Named after Noe Abraham. We sell Bags made from recycled coffee bags. We have partnered with Compassion International and each bag we sale helps send a student in poverty to college. Our company has committed to send a girl named Ana to the University in Peru. We hope to add more students once our company gets bigger.